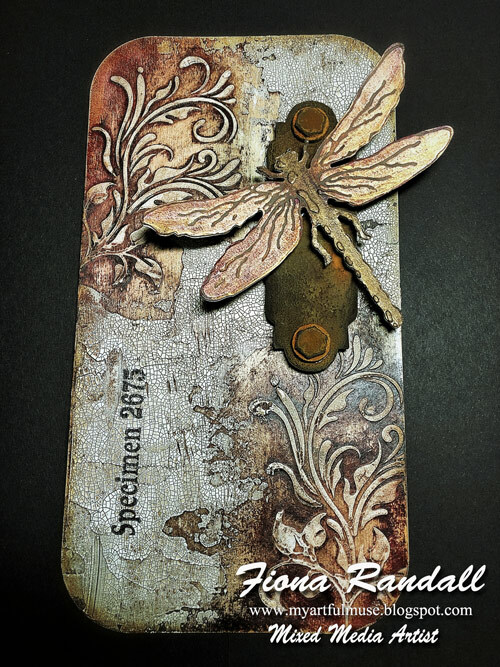 Hi everyone Dee here with my embossing folders project as you can see i have used the lovely tags from Tando along with an offcut/panel and a cog. 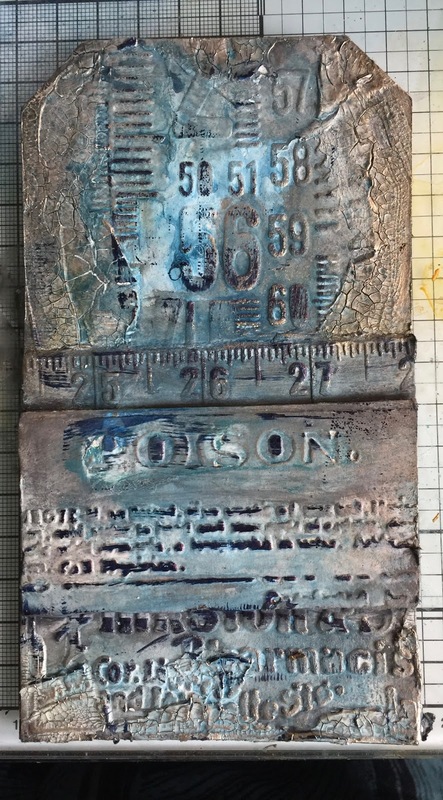 As you can see below I have used a variety of embossing folders and glued them onto the tag and panel I have then used crackle paint on a pallet knife and applied it to the edges of the tag. Next i gave the whole piece a coat of tinting base followed by Prussian blue hue and Raw umber. Once I was happy I swiped it with an archival ink pad to highlight areas of the embossed card I also applied carbon black antiquing cream to the edges and knocked them back. 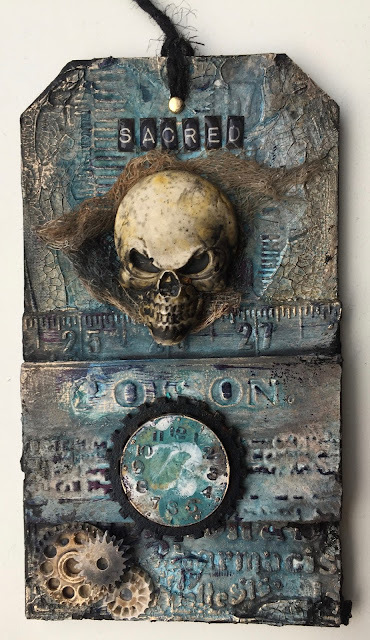 I had a clay skull in my stash and made a clock face and cogs which I purchased from Di at Tando they were made from artyco art moulds. I mounted the clock face onto a tando cog that i had painted with Prussian blue Hue. Thanks for taking the time to look please feel free to leave a comment or two.